Starting from October 1, Emirates will return its signature Airbus A380 on one of two daily flights to Moscow from Dubai. For some time, due to softening market, the airline had to replace the A380 with a Boeing 777-300ER. This reduced the daily capacity on the route by about 23%, which helped save costs. However, the airline has been looking for an opportunity to relaunch its legacy product on Moscow routes, Emirates’ director for Russia and CIS Yegor Plakhov told Russian Aviation Insider. Secondly, Emirates added several leisure destinations from Moscow, which proved popular on the Russian market. These include Bali, Philippines, Myanmar, Vietnam and two cities in central China – Inchuan and Zhengzhou. These new routes generate the bulk of transit traffic from Moscow via Dubai and complement the existing routes in South Africa and the West Coast of the US. Finally, the airline is seeing a noticeable uptick of demand for Russia-bound flights globally, which “creates a favorable background” for capacity expansion on Moscow route. In the reporting period from April 2015 to March 2016, the share of passengers who travelled directly from Russia and Dubai stood at 41,6% of the carrier’s total traffic on these routes, the remaining was transit traffic. But that average figure is prone to seasonality – in April over 60% of all passengers who bought tickets in Russia, flew from Moscow to Dubai, whereas the figure did not exceed 25% in July. “Our direct and transit traffic are balanced and complement each other, providing an even load factor throughout the year”, Yegor Plakhov commented. To level off demand hurt by ruble devaluation, the airline adjusted its price policy on many destinations from Russia. Although this affected the dollar revenue, the devaluation made Russian destinations more attractive for foreign travelers. So Emirates directed its efforts towards popularization of Russia, which resulted in increased traffic in both directions. 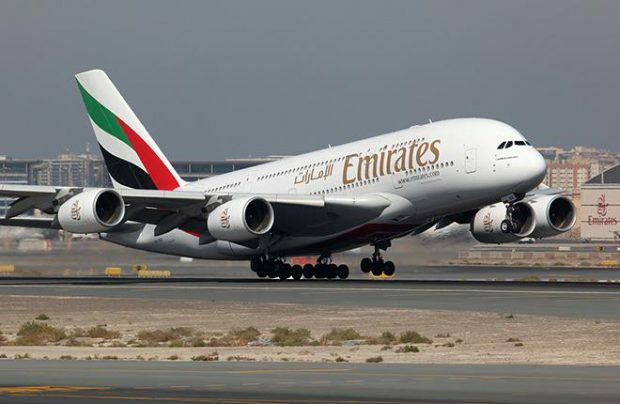 In order to be able to offer domestic travel options within Russia to its global clientele, Emirates tapped local airlines for code-share agreements. In March of this year the first such partnership was signed with S7 Airlines. It gave Emirates’ passengers access to 30 cities in Russia, including flights between Moscow and St. Petersburg, both of Emirates’ destinations. Customers of both carriers can also benefit from the partner airline’s loyalty program, collecting and spending bonus miles on flights operated by each of the partners. According to Plakhov, Emirates is also developing partnerships with wto other large local carriers: Ural Airlines and Rossiya.